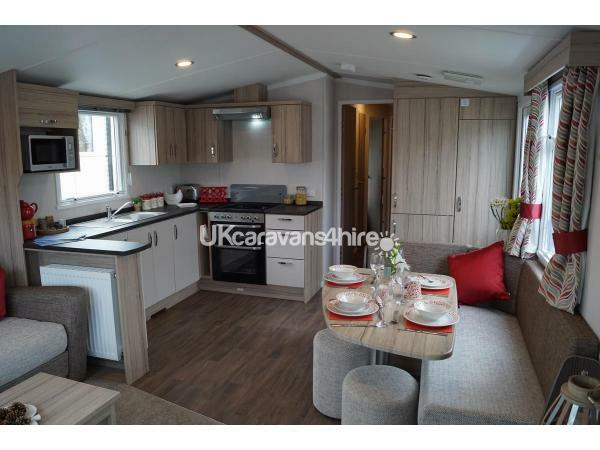 It is a modern caravan newly sited in 2019 and has colour co-ordinated upholstery throughout and is tastefully decorated and well equipped. 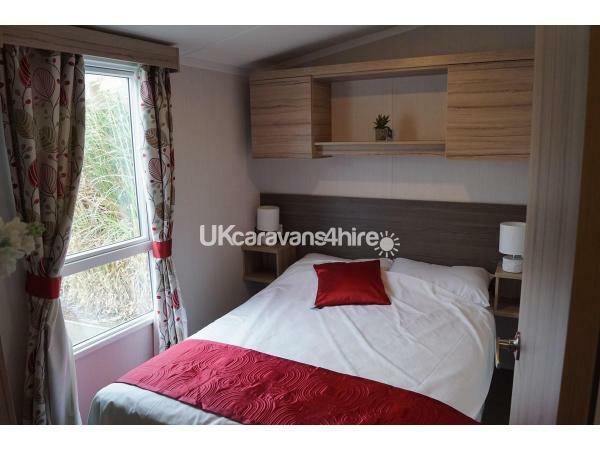 With double glazing and central heating throughout, and additionally the bathroom has a heated towel rail, making this a very cosy and comfortable holiday stay in all weathers. 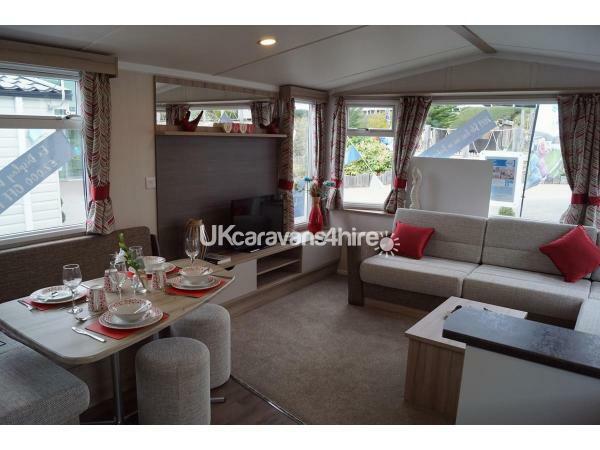 There is a good-sized dining area and a well-equipped galley style kitchen fitted with a full-size oven, full size fridge/freezer, microwave, kettle and toaster. 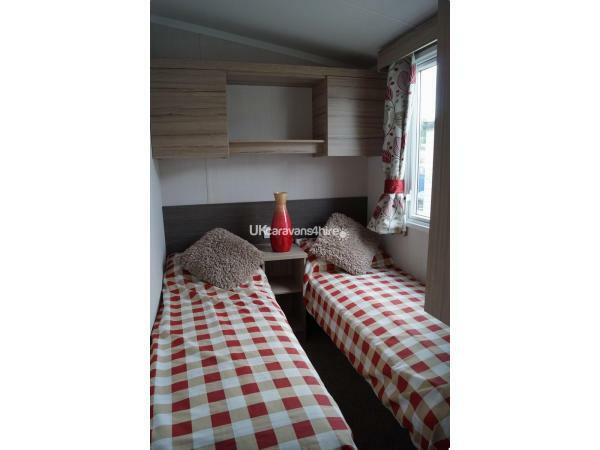 The caravan has good storage throughout with each bedroom having its own wardrobe space. A good-sized bathroom with a shower, basin and WC and just across the hallway is an additional and much needed WC with another hand basin. The lounge has a 40-inch TV, DVD player, Blue-tooth speaker and Xbox. 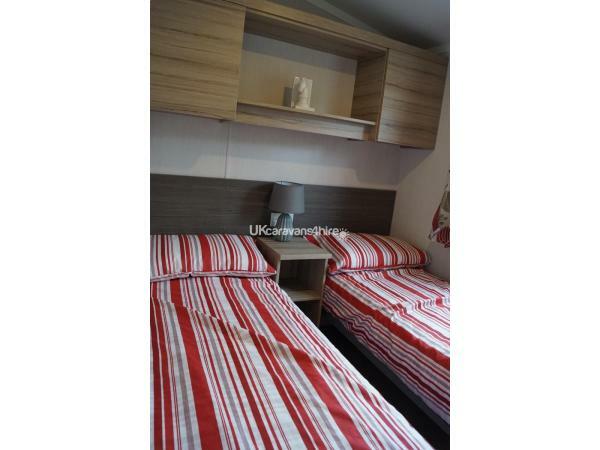 A 22-inch TV in main bedroom, a good amount of seating, cosy carpet under foot and a quantity of both adult and child books, DVDs & board games for those family fun evenings in. Outside is a small patio area with a table/seat. 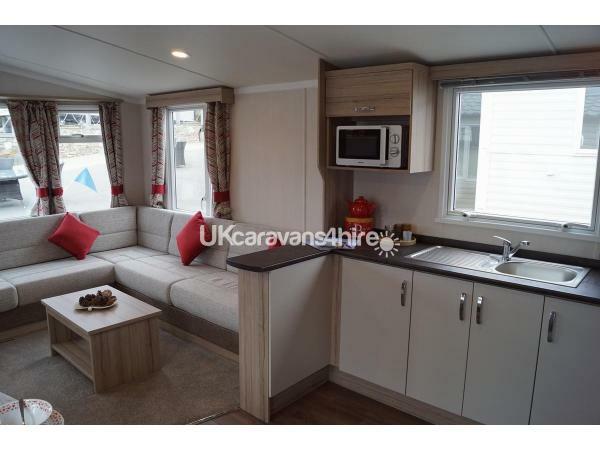 The caravan has its own marked car space nearby.